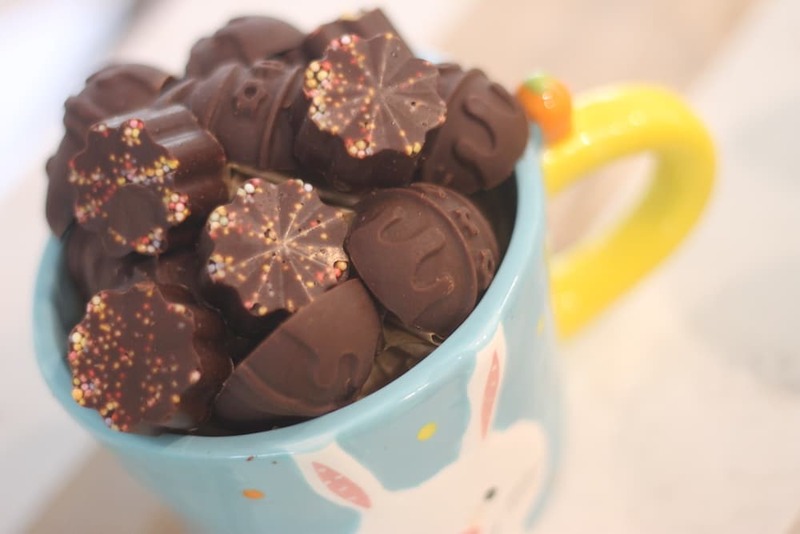 You’ll be delighted about so many things when you make this Easy Dairy Free Chocolate. 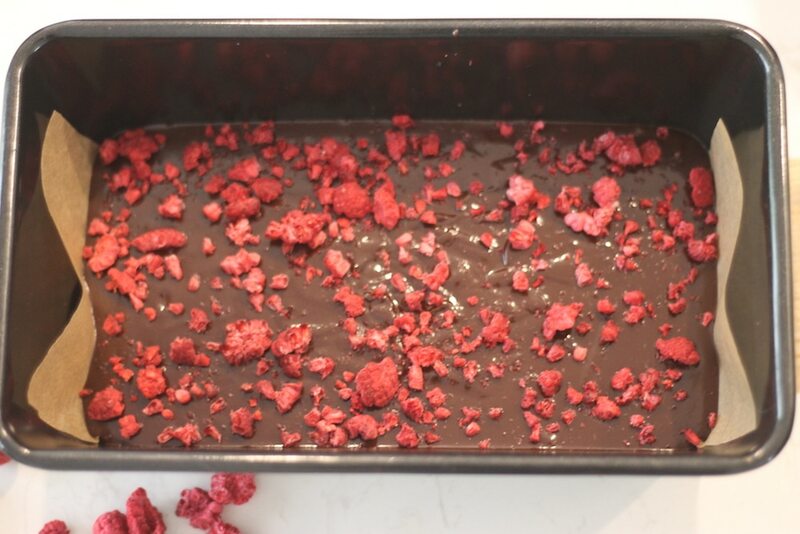 Firstly you’ll be shocked how easy it is to make raw vegan chocolate. You’ll be amazed how delicious it is to eat (but you’ll will need some self control). You’ll love the fact that coconut butter has no coconut flavour whatsoever. And you’ll never have to spend over the top prices for healthy vegan chocolate again, when you can make it in minutes. To make raw chocolate and enjoy the health benefits of amazing nutrients I use raw organic cacao powder and I love the Absolute Organic range. However this chocolate powder is very bitter and won’t appeal to all children. My 3 year old son Cooper, loves bitter chocolate (and this recipe) but my 7 year old not so much. 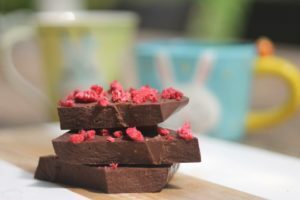 So you do have the option for a milder, more ‘milk’ tasting dairy free chocolate, by using cocoa powder (not cacao), but always check the ingredients to ensure it’s dairy and soy free. 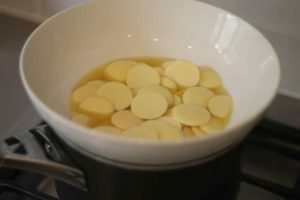 To find out about the difference between raw cacao and cocoa check out this helpful link from Food Matters. This recipe, made with pure wholefood ingredients, contains absolutely no preservatives, additives or refined sugars. Just wholefood goodness, that will nourish the body.